1. Boil potatoes until almost cooked through. 2. Place fish in the casserole dish and arrange the green pepper and onion on top. 3. Season with parsley, salt and pepper. 4. Layer the potatoes on top. 5. Mix the dry powder of the IMANA Chicken à la King Cook-in-Sauce, corn flour and maas or milk together until smooth and spoon over the potatoes. 6. Sprinkle with cheese and bake for 30-40 minutes at 180°C until golden and bubbly. 1. Cook pasta in rapidly boiling water until tender, drain but keep warm. 2. Melt margarine in a saucepan. Fry onion and green pepper until soft. Add flour and mix until well combined. 3. Remove from heat and slowly add the milk and IMANA Garlic & Herb Super Stock Cube, mixing all the time. 4. Return to the heat and allow to cook slowly, stirring occasionally, to ensure that no lumps form. 5. Add tuna and frozen peas, salt and pepper. Stir until heated through. 6. 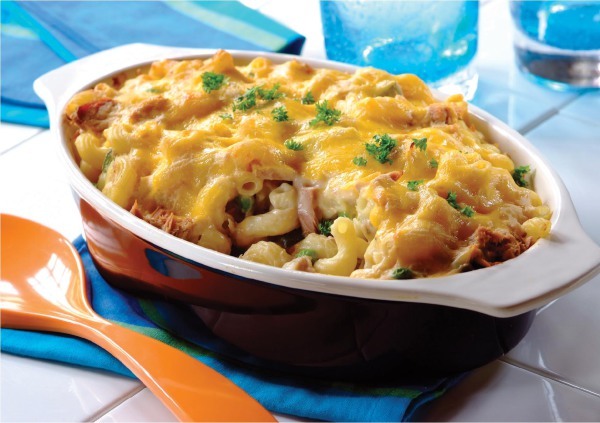 Mix the tuna sauce and pasta together then place in an ovenproof dish. 7. 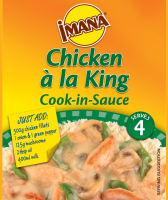 Prepare the IMANA Cheddar Cheese Sauce by adding 250ml of boiling water to the dry sauce. Stir until thick and smooth. 8. 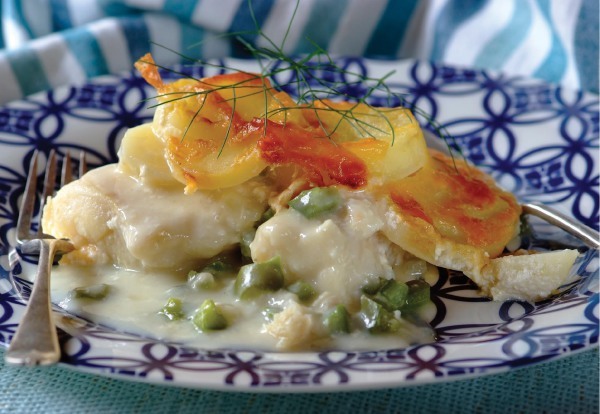 Pour over the Tuna bake and top with grated cheese and bake for 5 – 10 minutes at 180°C until cheese has melted and the bake has heated through. 1. Add the fish, potato, bread crumbs, onion, chilli, egg, IMANA White Sauce and Mild Curry Powder to a mixing bowl and stir well to combine. 2. Place the flour and extra bread crumbs in a separate bowl or plate. 3. Shape mixture into small round patties and then coat with flour and crumb mixture. 4. Heat oil in a frying pan over medium heat and fry the fish rounds, moving them around the pan until golden brown on all sides. 5. Make up the IMANA Cheddar Cheese Sauce using 250ml boiling water. Stir with a fork until sauce thickens. Add the chopped parsley and stir. 6. 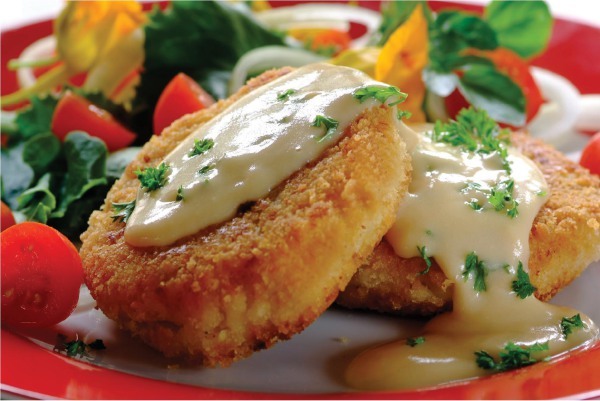 Serve the fish cakes with the cheese sauce and a fresh healthy side salad.